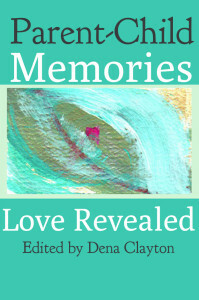 Parent-Child Memories: Love Revealed is the second anthology in the Love Revealed stories series. Readers are welcomed by ten spirited authors who dare to ignite memories of their parents and children that are reflective, transformative, raw, or funny. New lights shine brilliantly on topics that include compassion, child and parent losses, hope, breastfeeding, eating disorders, forgiveness, and reunion. These true stories hold a potential to heal soul wounds, as did the preceding collection in the book, Mother-Daughter Memories: Love Revealed. One mother, Nancy, takes us on a journey of courage, compassion, and heart-centered parenting as she supports her teenage son struggling to overcome an eating disorder. Corby, a momma of three young ones, describes the personality of each as first witnessed during their periods of breastfeeding. Alison reveals complex portraits of two strong and vulnerable women at the age of twenty-seven: her daughter and herself. Susan, the mother of two, writes of her unwillingness to accept the death of Liz, her oldest daughter; as she makes her way through unrelenting grief, she discovers grace. The path of a daughter’s longing leads K to unexpected places. Sindee, an adult daughter, sees her mother with new eyes as she accompanies her on an otherwise ordinary shopping trip. Krishnakamini tells the tale of the long road to finding her mother, and ultimately, to saying goodbye. Marilyn invites us into moments from her son’s and daughter’s childhoods that gave her clues of their spirituality. Coping with her father’s illness and surgery, Carol finds a new and healing way into her relationship with her mother. As a young girl in South Africa, Moo has an unforgettable night at the theater with her mother. We have home movies of the day my father crafted an igloo on top of our well’s cement lid and he helped us make a snowman with a sculpted face nearby. At four and six, my sister and I were thrilled to be part of his creativity and spontaneous fun. We have relived those sunny moments in the snow so many times over the years, laughing at Daddy’s movie magic of filming first the igloo with his daughters beside it, stopping the camera, then capturing the smiling face of little Neva crouched inside the igloo, waving from its arched doorway. “Abracadabra!” we exclaimed, again and again. My mother’s father was resourceful in fashioning playhouses for his daughters wherever the family moved. Treasuring her sweet memories, my mother wanted us to have some kind of a playhouse after our family moved to the countryside and lived on ten acres. The summer I was seven, Daddy and Uncle Floyd moved an old chicken coop from the woods to a place near the west side of our home. They cleaned it, put in smooth boards for a complete floor, and installed an intercom telephone system between the playhouse and my family’s kitchen. It was a magical space – a place we and visiting cousins enjoyed during summers and the milder times of spring and autumn. The welcoming doorway and curtained window were open to the elements: breezes blew in from all four sides, rain showers played a melodic rhythm on the tin roof. We swept the floor, mimicked cooking, and put our doll-children to bed. We told stories, danced, sang, and drew pictures. I am forever grateful to both my father and my mother for giving us that prime piece of real estate. I think I inherited from my father the ability to see humorous potential in words. As long as I can remember, my father has been well known for corny puns, eliciting groans or outright chuckles. At Thanksgiving dinner last year, when my cousin asked, “Do you want a roll, Uncle Johnny?” he quipped, “No, I’m too tired to roll.” And he was famous at work for writing commemorative birthday poems in limerick form to his co-workers. When I visit my father next week, I am eager to hand him a copy of this preface. He always enjoys our strolls down memory lane. He was 93 in March and soon I will be moving to the Shenandoah Valley of Virginia to be with him. As I sort through many papers and belongings, I am at times engulfed by memories. I realize my good fortune to have parents who have been sources of compassion who imbued my life in love from the very beginning. I feel renewed gratitude to my family. It excites me that I am experiencing adventures in the terrain of publishing in my early 60’s.